【Summary】Chinese internet search giant and AI company Baidu announced major updates to its Apollo autonomous driving ecosystem during last week’s CES in Las Vegas. Apollo is the world's first open autonomous driving platform designed to accelerate the development of autonomous driving technology. Chinese internet search giant and AI company Baidu announced major updates to its Apollo autonomous driving ecosystem during last week's CES in Las Vegas. Apollo is the world's first open autonomous driving platform designed to accelerate the development of autonomous driving technology. Baidu says Apollo 3.5 is the most powerful Apollo release to date. It's the first open source autonomous driving platform that allows self-driving cars to navigate complex urban and suburban driving scenarios. Since launching Apollo in April 2017, Baidu has been regularly updating the platform to include more robust autonomous driving features with each new release. The latest Apollo update includes new capabilities, such as the ability to manage unprotected left turns, a challenging maneuver for self-driving cars, as well as slowing for speed bumps, passing, navigating narrow lanes and autonomous parking. Since its launch, Baidu's open Apollo platform has grown into one of the largest autonomous driving ecosystems in the world. Apollo has over 130 industry partners, including global automakers Daimler, Volvo, Ford and BMW, along with thousands of developers contributing to the Apollo open-source platform. The new Apollo release unlocks tools for thousands of developers, allowing them to create solutions such as robo-taxis and autonomous delivery services. According to Baidu, one of the biggest innovations of Apollo 3.5 lies in its brand-new high-performance runtime framework. The Apollo Cyber RT framework is the industry's first open source autonomous driving framework compatible with the development of production-grade autonomous driving systems. 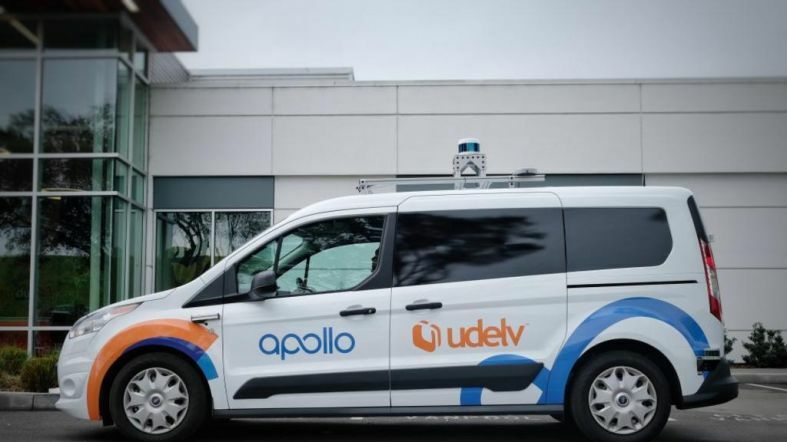 udelv, a California-based autonomous delivery van company, is one example of companies leveraging Apollo 3.5 to develop its own autonomous driving solutions. udelv recently announced a partnership with U.S. retailing giant Walmart to deliver orders from the company's stores with a fleet of autonomous Ford Transit Connect vans. At CES, udelv announced up to 100 autonomous driving vehicles have been developed on the Apollo 3.5 software platform, and will be deployed this year in several U.S. locations, including the San Francisco Bay Area. Another notable announcement from Baidu was Apollo Enterprise, a new commercial suite of customizable autonomous driving technology, designed specifically for commercial mass-market vehicles. Baidu Apollo Enterprise is billed as a scalable, safe, and highly customizable autonomous driving platform, which can be upgraded remotely with over-the-air updates. Enterprise clients will receive dedicated service from Baidu support teams. The five main Apollo Enterprise features include highway autonomous driving, autonomous valet parking, fully autonomous mini buses, mapping services and DuerOS for Apollo. DuerOS is an AI-based assistant that allows passengers to interact with a vehicle using voice recognition similar to Amazon's Alexa. DuerOS also includes augmented reality and motion detection capabilities. "With the key development of Apollo Enterprise, Baidu Apollo expands from an open technology platform to a leading product and service provider for autonomous driving and connected vehicles. We're excited to join hands with each and every Apollo Enterprise client to create safe, customizable, and scalable solutions to accelerate the commercialization of intelligent driving and enhance the mobility experience for everyone," said Ya-Qin Zhang, President of Baidu. Baidu is collaborating to deploy its technology in production vehicles from Ford, BYD, Hyundai Kia, Great Wall, Chery and WM Motor. 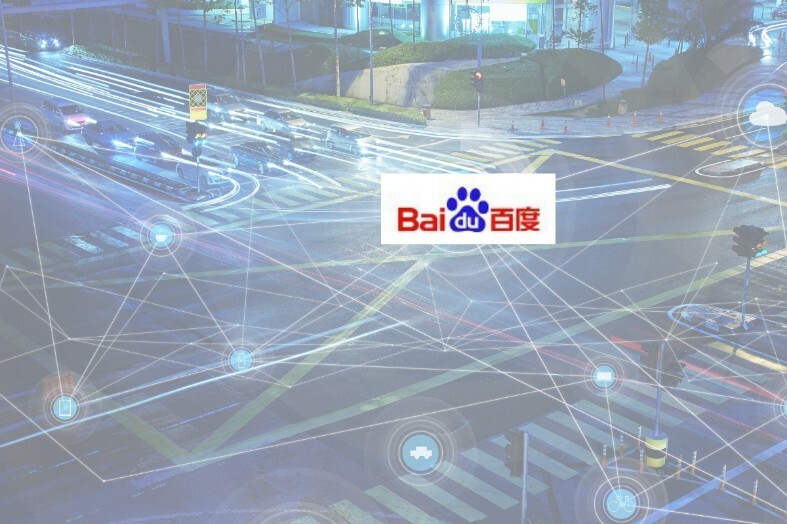 In addition to advancing autonomous driving technology, Baidu is developing communication capabilities between vehicles and infrastructure to support the growth of "smart cities". The V2X technology allows autonomous vehicles will be able to better communicate with traffic lights. V2X, short for vehicle-to-infrastructure, allows cars to connect with traffic signals and other infrastructure to help ease vehicle congestion and make driving safer in urban areas. Smarter infrastructure will enable faster and safer deployment of autonomous vehicles in cities, which is one of the reasons Baidu has open sourced its V2X technology. This year, Baidu says that 100 robo-taxis will operate on 130 miles of city roads using Baidu's V2X technology in Changsha, the capital city of Hunan province in the south-central part of China. The fleet will be China's first group of autonomous driving taxis managed by Baidu's V2X system. Apollo has had a close collaboration with Intel to supply the autonomous driving computing hardware to run Apollo. At CES 2019, Baidu demonstrated the successful implementation of Mobileye's Responsibility Sensitivity Safety (RSS) in the simulation engine of Apollo, which is basically a set of road rules for autonomous vehicles. Developed by Intel, RSS is based on a mathematical model for increased safety of AVs. It was the world's first ever RSS implementation on an open source platform.